We may already be a week beyond the annual CES show, but there is still plenty to discuss. One of the exciting systems I saw at the event was the new Digital Storm ‘Spark’ – a small form factor PC designed for high-end gaming. Inside was that odd-looking ASRock MXM motherboard, paired with an MXM GPU and even liquid cooling, all for a powerful but small system. Inside we see the ASRock motherboard with two SO-DIMM slots, connected via water cooling to an Alphacool radiator, a fan, and a small reservoir. At the bottom is the MXM GPU, which in this system was a GTX 1080 if I recall correctly, although Digital Storm stated they are looking into upgrading the system to an RTX 2080 when the MXM modules become available. They also stated they are looking to watercool it too. The Spark chassis design is specifically for this motherboard in mind, which puts an end to the question as to where that motherboard was going to end up. 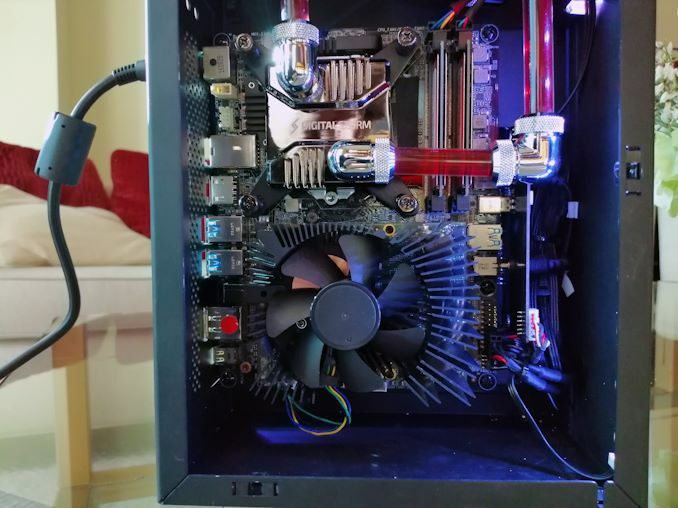 With such a small volume for both a high-end system and liquid cooling, we can see in the images that it is a tight squeeze for sure. 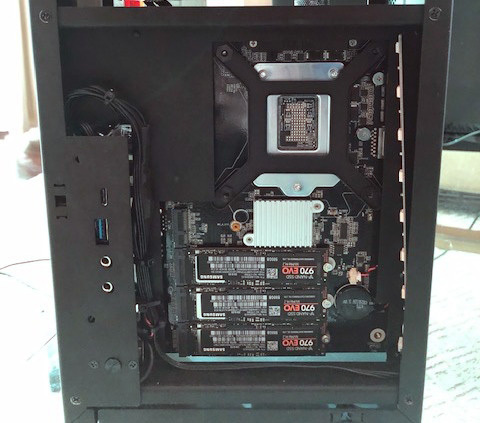 On the rear of the motherboard is space for three NVMe drives. The low-end version of the Spark starts at $999, with prices rising from there. No specific date was given on the RTX 2080 version.